Keeping your iPhone charged after a heavy day’s use has been a consistent challenge, especially when you travel. Dexim has come up with a handy solution to keep you on the go. 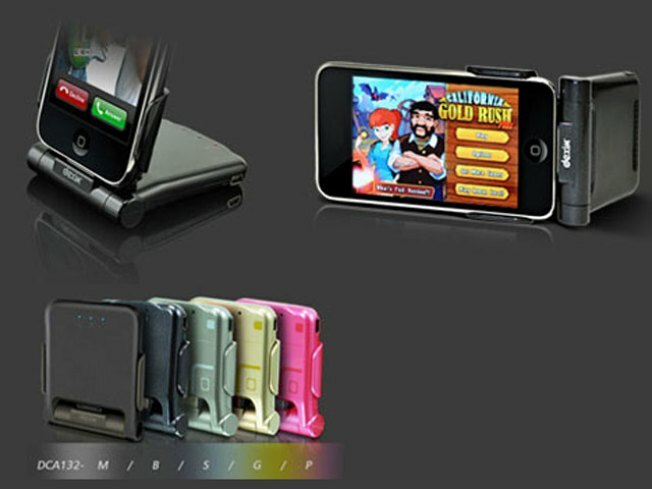 P-Flip Foldable Power Dock is the world's first foldable and rechargeable power dock. The device functions as both a desktop dock that charges and syncs your phone as well as a rechargeable back-up battery you can fold up and take with you. As a bonus, it can hold your iPhone in Landscape for watching movies on a flight. P-Flip extends battery time up to 8 additional hours for talk, 15 hours for video, or 80 hours for music playback.